This guest blog was composed by Kimberly Guise, Curator at The National WWII Museum, as part of The National WWII Museum’s participation in the Smithsonian Lemelson Center for the Study of Invention and Innovations’ Places of Invention Affiliates Project. Places of Invention is made possible in part by a generous grant from the National Science Foundation. Jazz, Bourbon Street, and Mardi Gras are all well-known, recognizable symbols of the melting pot that is New Orleans. 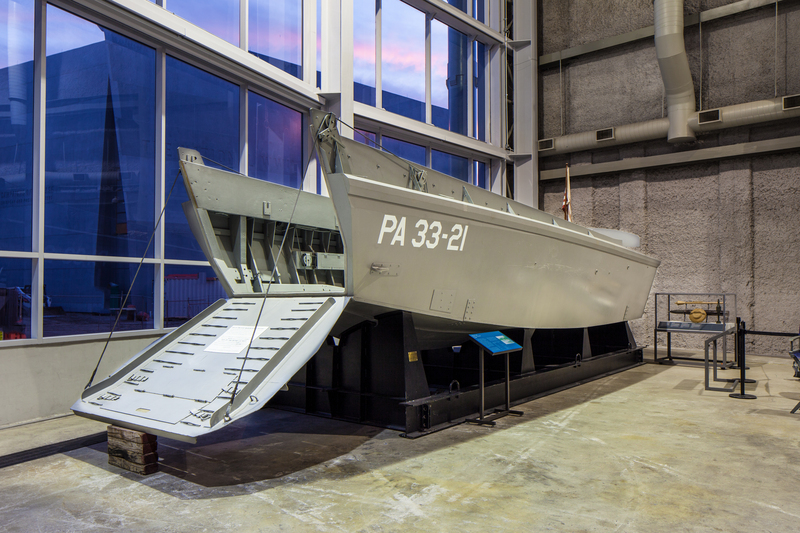 The National WWII Museum showcases another product of New Orleans, “Higgins boats,” like the LCVP (Landing Craft, Vehicle, Personnel) and its manufacturer, Higgins Industries. Over 20,000 boats—crucial to Allied victory in WWII—were designed, tested, and manufactured in New Orleans during WWII by Higgins Industries. The boat’s ability to land troops on hostile beaches and quickly back away for additional loads made possible the amphibious invasions key to gaining back territory overtaken by the enemy. The LCVP was a game-changer. These boats literally changed the strategy of the war. They were used in North Africa, Sicily, the Pacific and, most famously, on D-Day in Normandy. 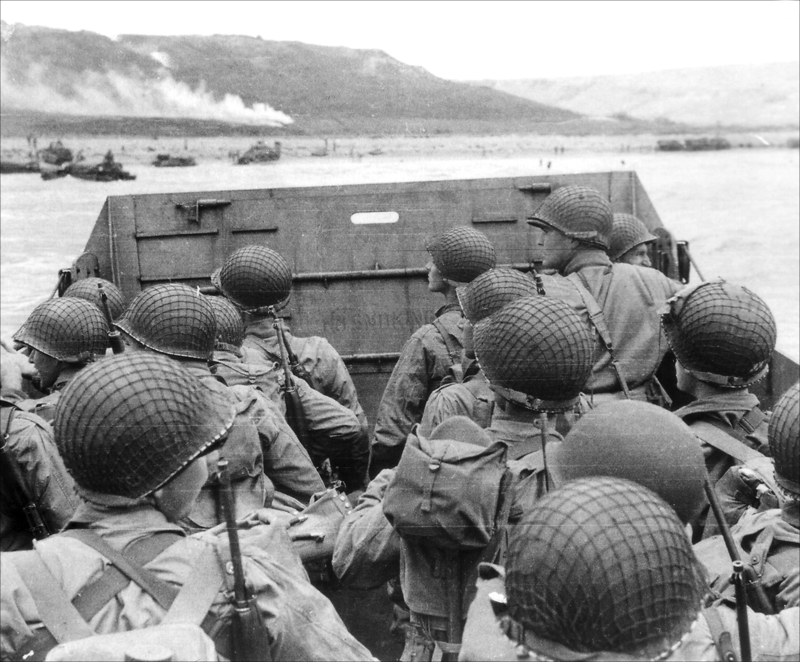 Troops approaching Omaha Beach in an LCVP on June 6, 1944. National Archives Image. In recognition of Higgins’ contributions to the war effort and to tell the story of the American experience, writer and historian Stephen E. Ambrose (based at the University of New Orleans at the time) founded The National D-Day Museum in 2000. Fifteen years and one Congressional designation as “The National WWII Museum” later, the Museum stands as a six-acre campus dedicated to preserving the story of the American Experience in World War II. On June 6, 2015, we will celebrate the 71st anniversary of the D-Day landings at Normandy and The National WWII Museum’s 15th birthday! On this day, as we do every day, we will pay tribute to the 16 million Americans who served their country during WWII and the millions more who supported them with brawn and brain. 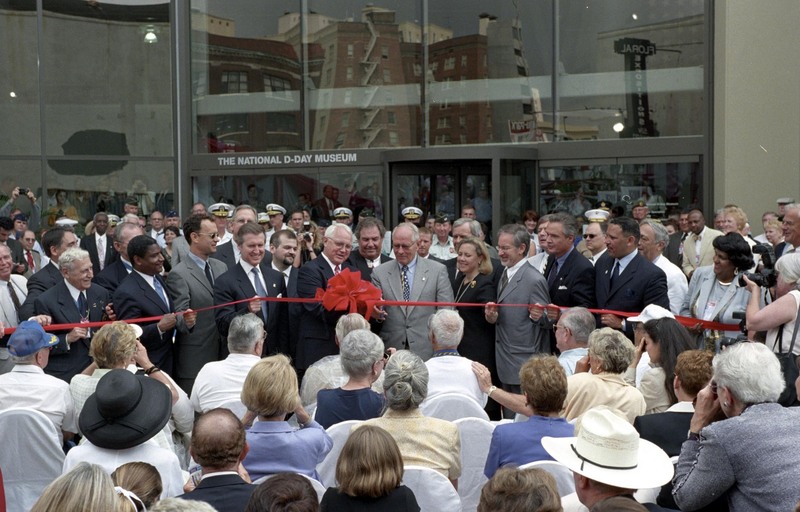 Stephen E. Ambrose cutting the ribbon at the National D-Day Museum Grand Opening in 2000. Courtesy of The National WWII Museum.